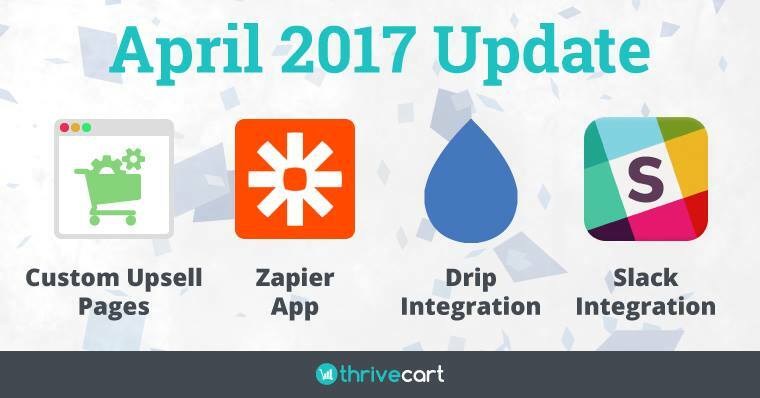 Zapier Integration Comes To Thrivecart – And It’s Awesome! 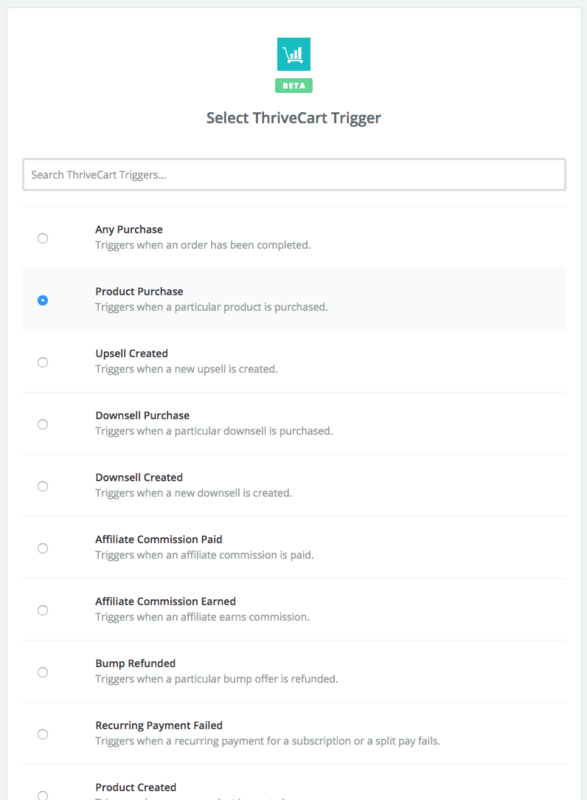 Josh Bartlett and the team at Thrivecart just rolled out a new update as of today! DRIP integration – Thrivecart now natively connects with your DRIP autoresponder account with all the tagging and awesomeness that you get with your other autoresponders. 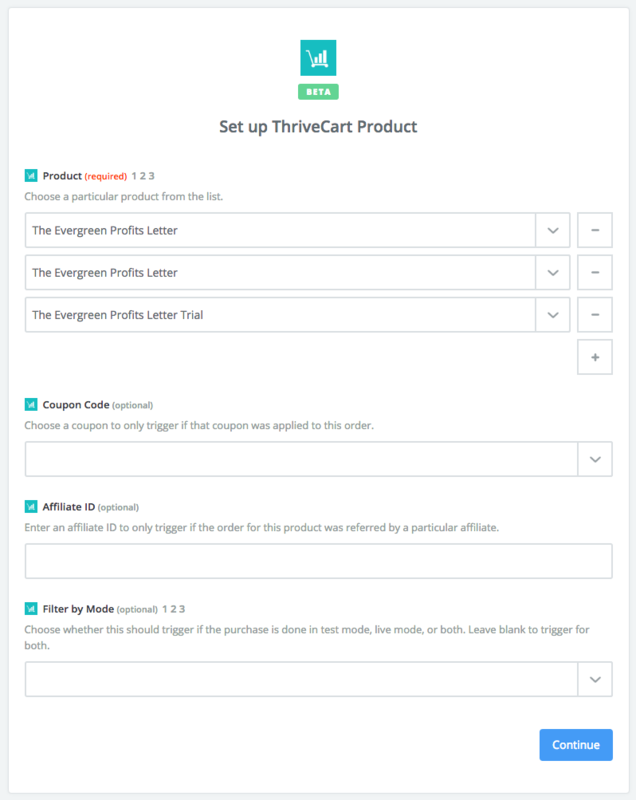 Slack integration – You can have Thrivecart send sales notifications, refund notifications, etc. directly into your Slack account. 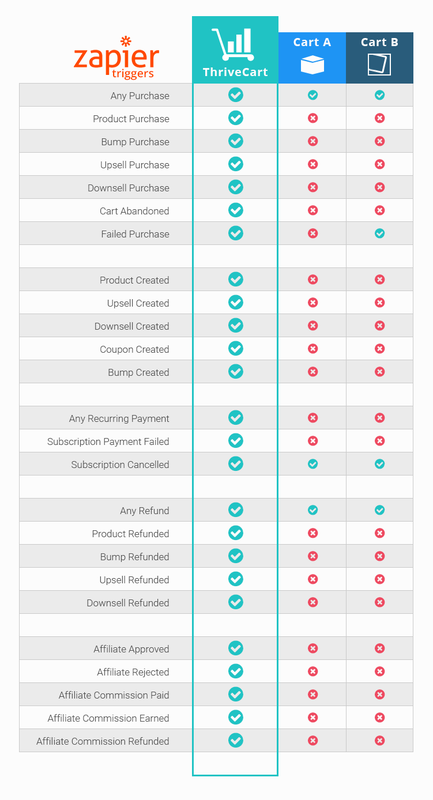 Custom upsell pages – You can now use your own upsell pages from tools like Clickfunnels or LeadPages instead of the built-in Thrivecart pages. This feature will warrant its own blog post soon. 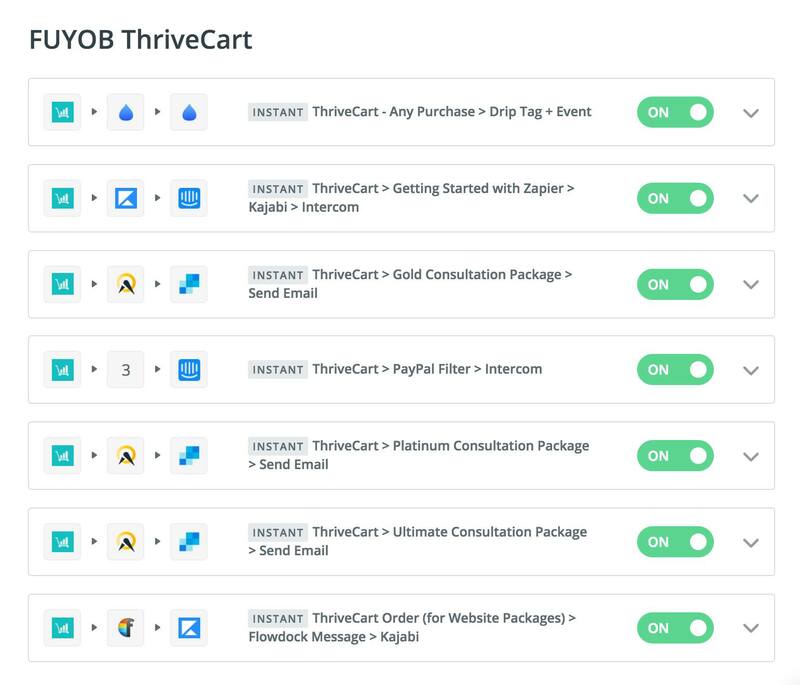 Zapier integration – You can now connect directly into Zapier with Thrivecart and the possibilities are endless! There are so many possibilities with this that my head is just spinning with ideas. Can you imagine everything you can do with this? I posted on Facebook earlier with a few ideas of how we will use this in our business. Give people access to additional courses in Teachable if they use a specific coupon. 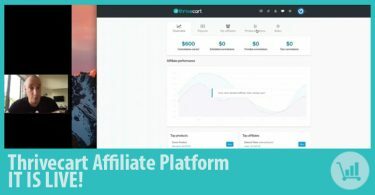 Create automatic spreadsheets of customers specific to affiliates who can drive a lot of traffic. Send a text or Slack message upon a recurring payment failure so we can followup with the customer. As you can see, you can add people into Kajabi, message them on Intercom, add them to a calendar for consulting, send them off to multiple autoresponder services at once, and much much more. There are so many possibilities with this! 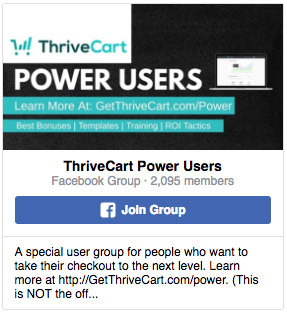 If you’re not on board with Thrivecart yet, don’t wait. Sign up today! Also, keep an eye out for our Thrivecart / Zapier recipe list coming soon! 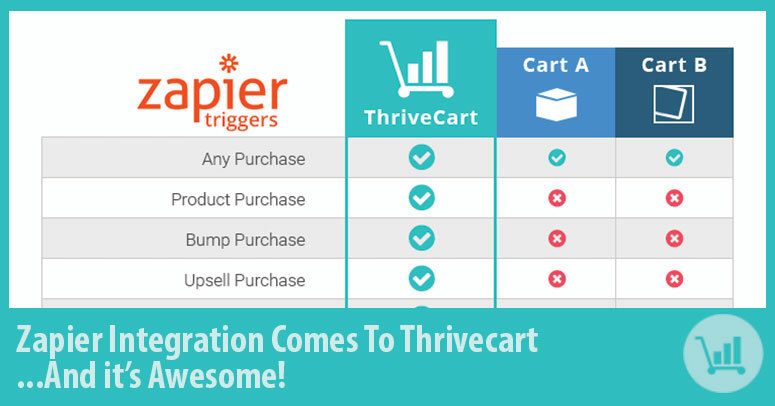 And if you want a deeper Thrivecart review and walkthrough, check out this post.